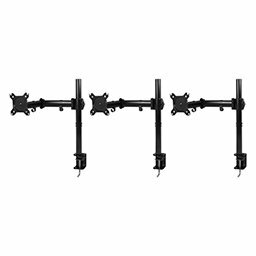 Getting three monitors perfectly aligned can be tricky, but with our portable and movable triple monitor brackets, it doesn’t have to be. 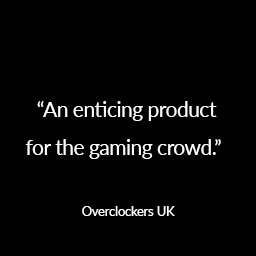 Enjoy a whole new gaming dimension, immerse yourself in your game and experience it from the inside! 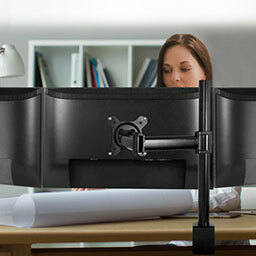 A multi-monitor setup widens your field of vision significantly and upgrades your experience from basic to immersive. To get a 3D feeling, try positioning the two outer screens at a slightly oblique angle (it will feel like your own private cockpit). 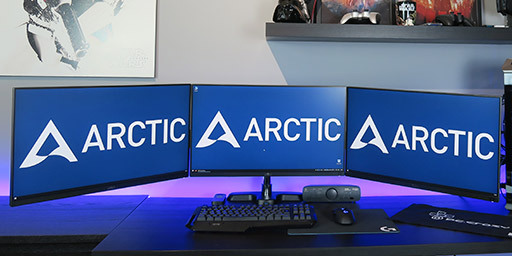 With a flexible triple monitor arm, it's easy to set up all three monitors optimally for you and bring them to the perfect height. 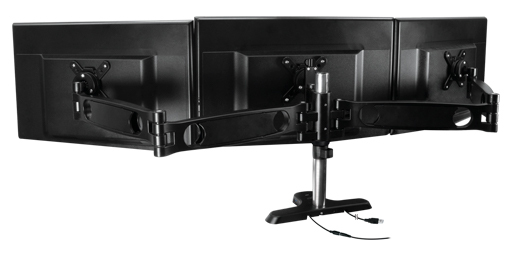 The displays are easy to adjust without having to remove them from the monitor arm. 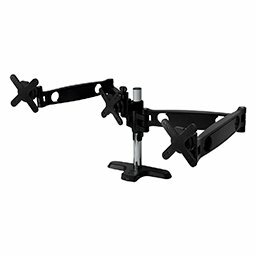 In addition to the flexibility, a monitor arm also brings a great deal of space. The integrated USB hub allows up to four devices to be connected simultaneously.